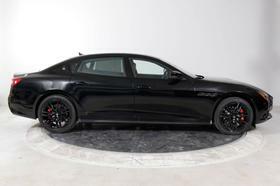 I'm interested in the 2019 Maserati Quattroporte S Q4 you have listed on ExoticCarList.com for $126,505. I would like to know more about this vehicle. 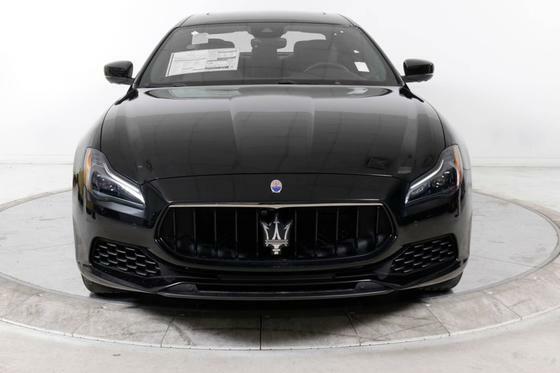 2019 Maserati Quattroporte S Q4 AWD Maserati of Long Island is proud to present this beautiful Maserati Quattroporte S Q4. 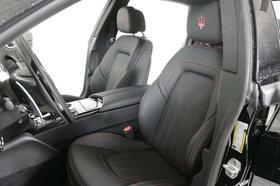 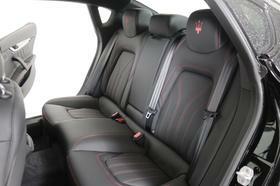 Finished in Nero over Nero leather, the Quattroporte S Q4 is brand new and ready for immediate delivery. 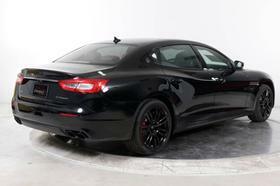 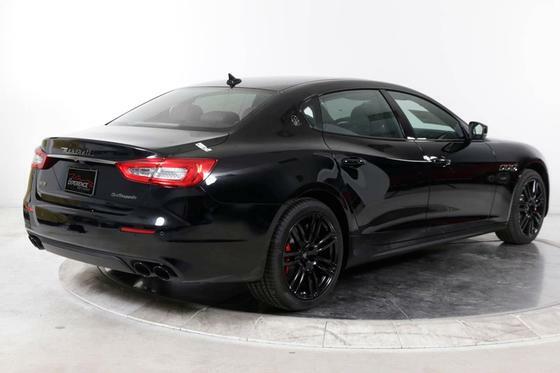 This Maserati has been specified with many fine options including: harman/kardon 10-Speaker 900W Sound System, Driver Assistance Package (Adaptive Cruise Control, 360-deg Surround View Camera, Traffic Sign Recognition, Highway Assist, Forward Collision Warning Plus with Autonomous Emergency Braking), Nerissimo Package (Black: Front Grille, Door Handles, Side Mirrors Finishing in Black Chrome Dark Exhaust Tips Dark LED Headlamps), Soft-Close Doors, Power Foot Pedals, Red Brake Calipers, Piano Black Wood Trim, Stitched Trident on Headrest, Full Natural Drilled Leather, 20-Inch Urano Gloss Black Wheels, Ventilated Front Seats, and 20-Inch All-Season Tires. 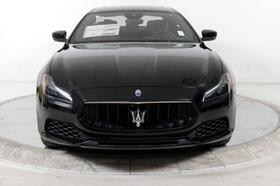 The Quattroporte S Q4 is equipped as standard with Q4 All-Wheel-Drive, Adaptive Full LED Headlights with LED DRLs, Skyhook Suspension, Sunroof, 12-Way Power Heated Front Seats with Driver and Passenger Memory, Power Rear Sunblinds, Navigation, Apple CarPlay and Android Auto, Wi-Fi Vehicle Hotspot, Rear Camera, Front and Rear Parking Sensors, Blind Spot Alert, Forward Collision Warning, Keyless Entry, Remote Start, and Hands-Free Trunk Lid. Luxury, scale and space meet extraordinary dynamic capabilities in the Maserati Quattroporte. This unique combination of attributes is perfectly expressed by its stately and flowing, yet dynamically intense, exterior proportions. 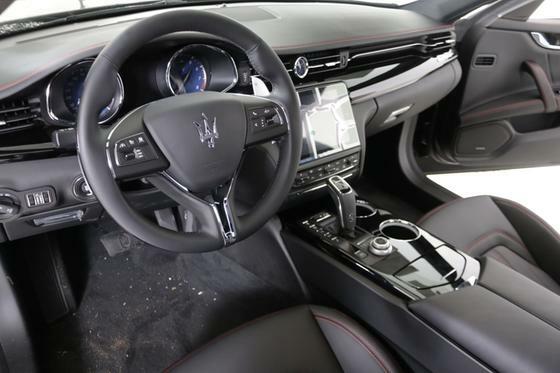 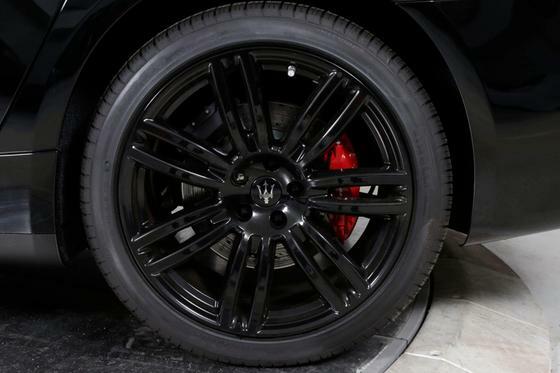 The front end is dominated by the distinctive Maserati grille, which bears the iconic Trident. 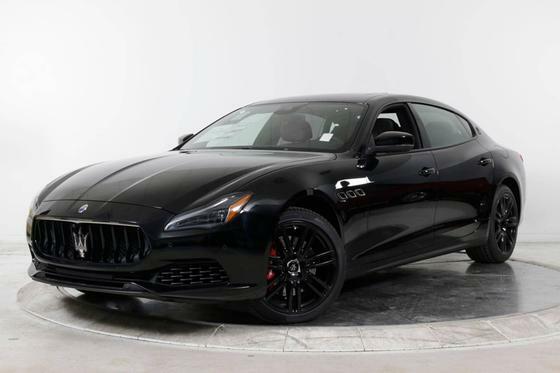 The vehicles imposing presence is brought into sharper focus by plunging character lines on the long hood and stylish new standard adaptive full LED headlights. 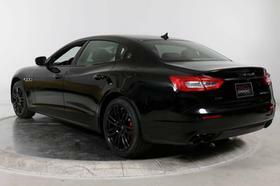 The side profile also reveals much about this vehicle's commanding character, with a long wheelbase that promises spacious luxury for all on board. 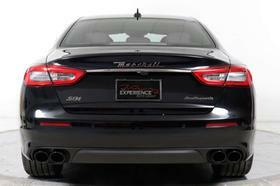 At the rear, quad chrome tailpipes allude to the Quattroporte's formidable power and performance. 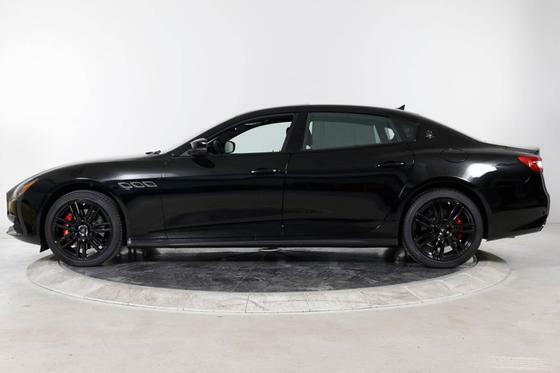 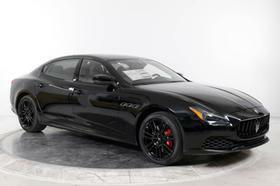 If you are in the market for a Maserati Quattroporte S Q4, please call or email us today.